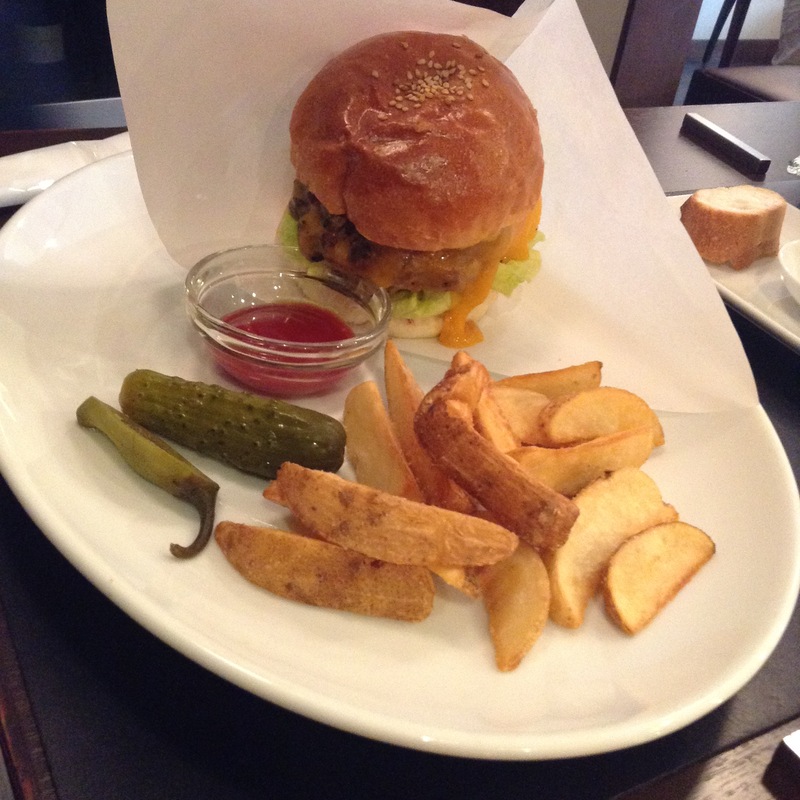 Adenia in Shibuya is home to one of my favorite burgers in Tokyo. Chef Masafumi Irie was the sous chef at the Park Hyatt Tokyo at the same time that I was the sommelier. The bistro is a short walk from Shibuya station. It is on a quiet residential street. The daily lunch menu, reasonably priced between 1,000 and 1,500 JPY, includes a fish, meat, and steak. The burger is a bargain at 1,000 JPY. The burger is meaty and juicy and comes with the essential side dish, French fries. On a recent visit I had the steak frites. 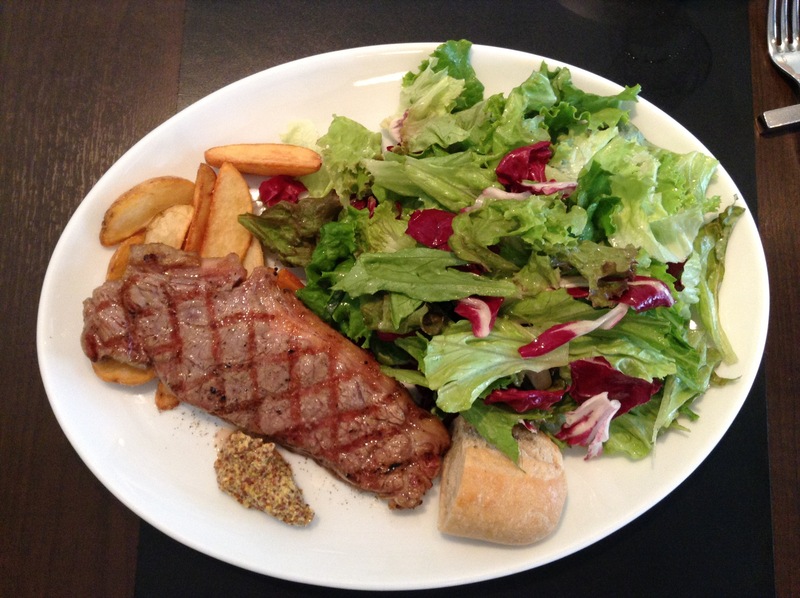 The Australia steak is served with a generous salad that has is always well seasoned and has a nice acidity to it. I mention that only because I am often disappointed at how other bistros in the city dress their salads. For a supplemental fee an appetizer or dessert can be added to the menu. 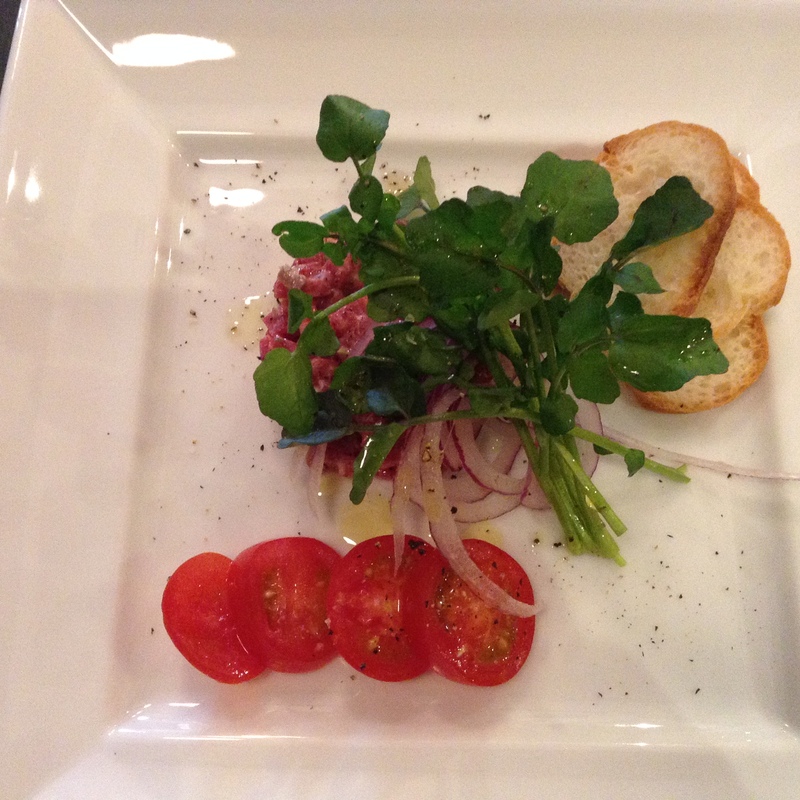 The steak tartare brings me back to Paris. Looking over this blogpost I see that it is all meat, but have no fear as the seafood options are always excellent. My dining partners usually get the fish and it is delicious. But for whatever reason, once I get here I always fall for the meaty options. It is a small bistro, so call ahead for reservations. Chef Irie has opened a second bistro, Decary, in Kameido which is in Kōtō-ku. The station is on the Sobu line. The menu is simliar to Adenia. Good to keep in mind when you are on that side of the city.